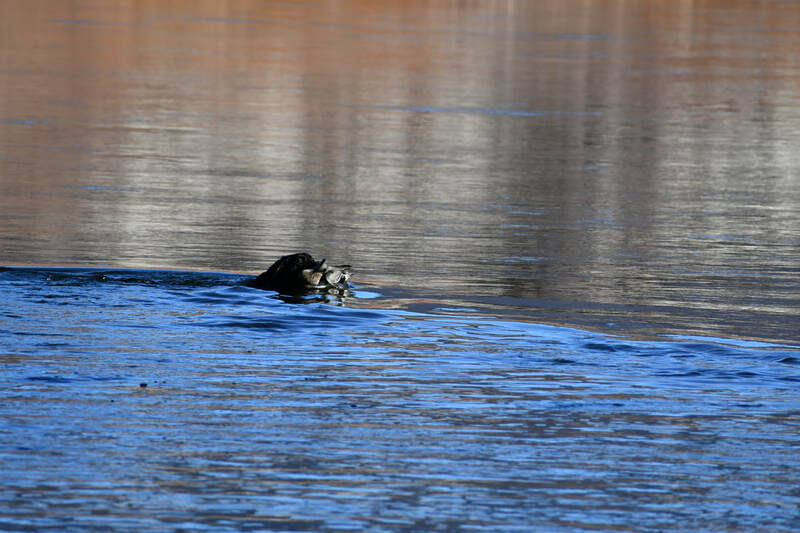 We are pleased to introduce to you Utah's Black Rock River. 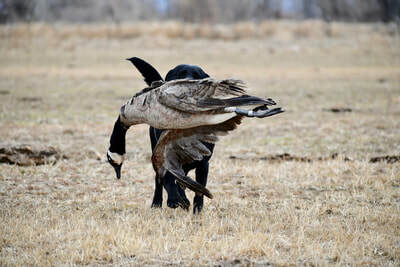 "River" is the daughter of 4XGMPR Iowa's Pointing Lab Grizzly SH and MPR Utah's Quaken Aspen SH. 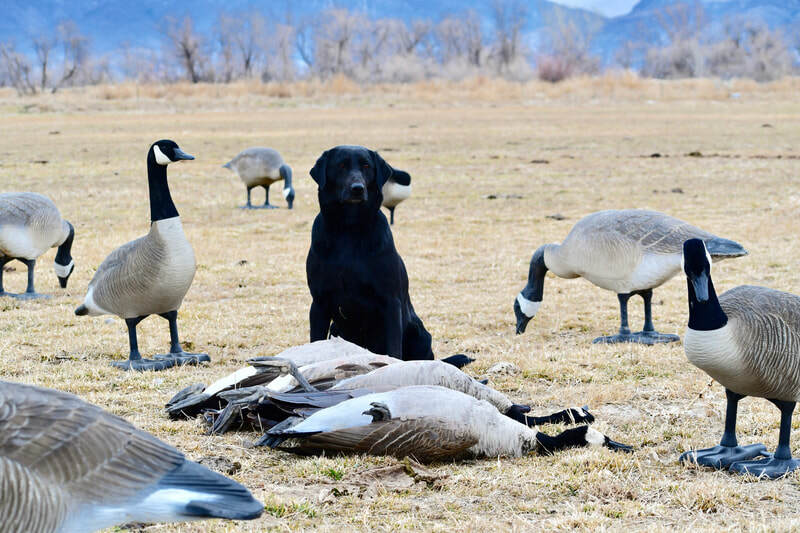 We are already seeing in River what kind of quality dogs we strive to produce here at Utah Pointing Labs. Tons of bird drive, loves to retrieve, point and confidence. 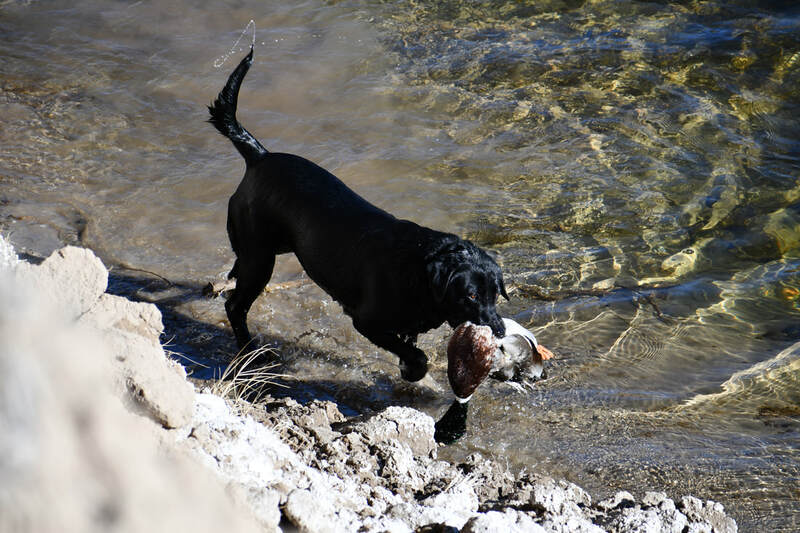 River at 12 weeks old was already retrieving full size ducks, pheasants and has had tons of confidence as a young pointing lab here at Utah Pointing Labs. 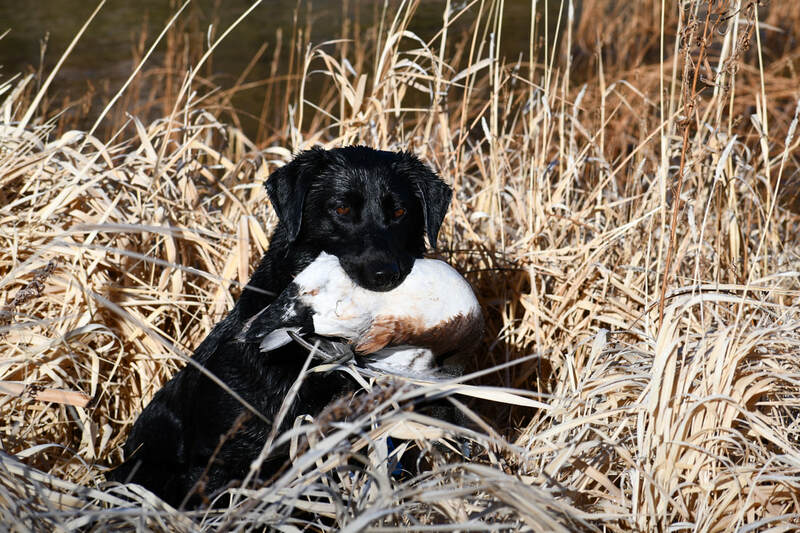 We look forward to seeing her progress and putting titles on her in the AKC and APLA events. 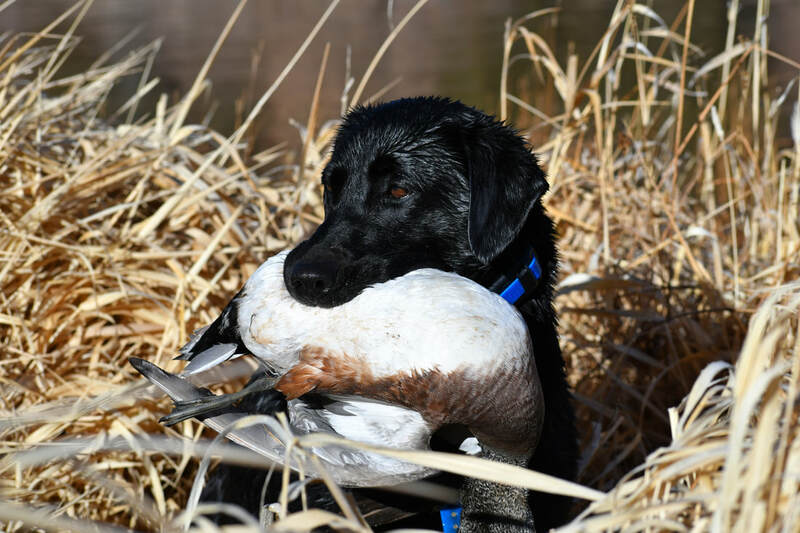 River currently has her Grand Master Pointing Retriever title and finished her Master Hunter title through the AKC spring of 2017. 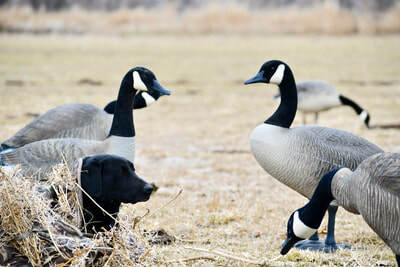 We have hunted River on tons of wild birds and have had blind retrieves on geese and ducks well over 150 yards on water, crossing big rivers picking up birds that landed far into the brush on the opposite side. 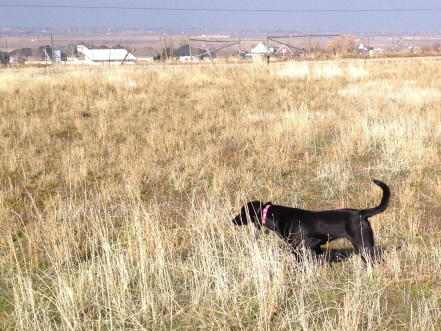 It is hard to find a female that holds a MASTER title with both the AKC and APLA clubs. If you are looking for a pup that can point, run hunt tests and hunt waterfowl you might want to take a close look at pups out of River. Thanks for checking out Utah's Black Rock River! 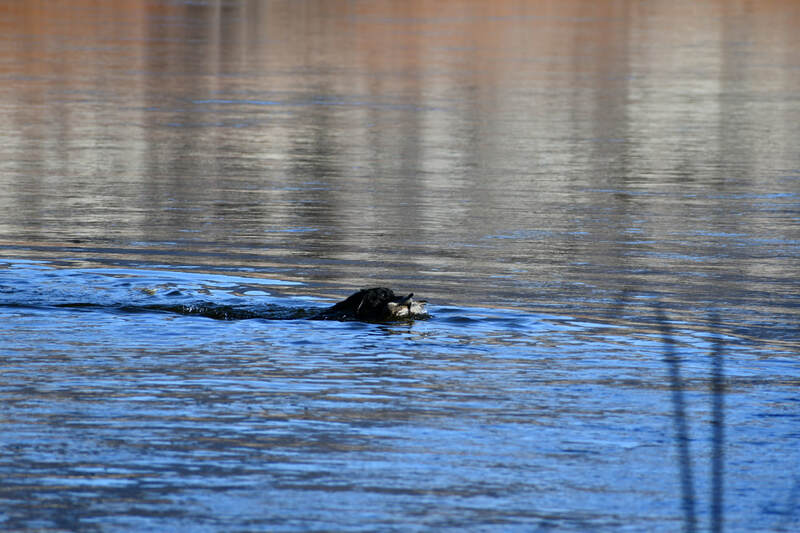 Griz is a record setting dog in the APLA by becoming the first 4X GMPR at less than 2 years of age. At 23 months of age he broke the previous record of his half brother by over 6 months. Griz also went 5/5 in AKC senior at 1 year of age! 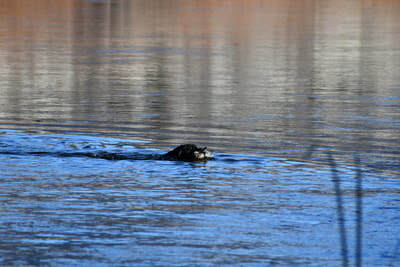 Griz will compete for his AKC Master title in the spring of 2012. Griz also ran his first shoot to retrieve event and finished a very respectable third (it would have been 2nd if the owner shot better). This finish was over 28 traditional pointing breed dogs in the pointing division. The event was the Pheasants Forever National Quail Championship in Kansas City and put on by Bird Hunters United. Griz plans to run more of these events next year! Griz is one of those special dogs that has a huge motor in the field, but is very controllable and wants nothing more than to be a team player. Griz has an unbelievable demeanor for a dog with his power. He is truly a gentleman that is extremely intelligent & confident, but doesn’t have a dominate bone in his body. He is an excellent marking dog and is rock solid steady at the line. 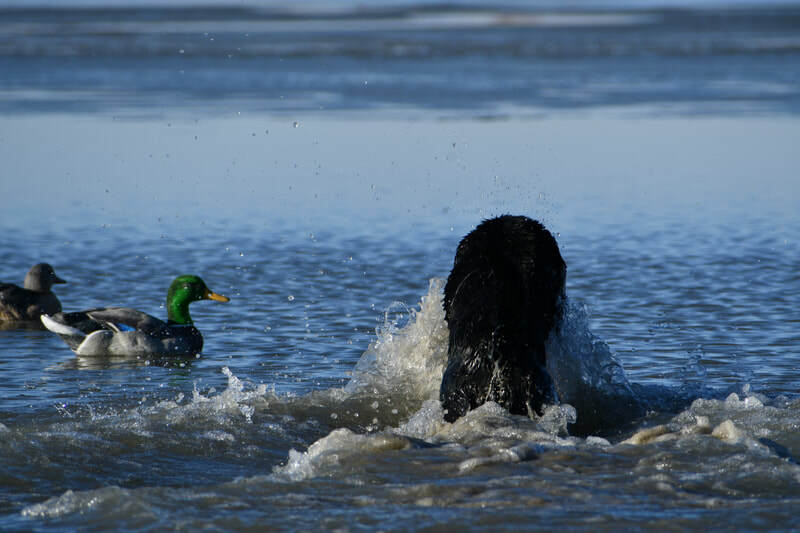 Griz has been a natural pointing dog from day 1 and point’s way off birds. 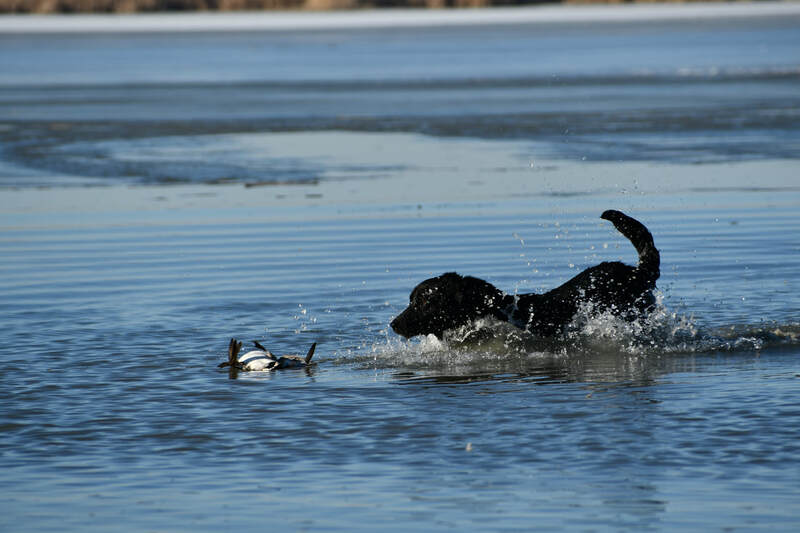 He is extremely reliable and is allowed to run big in the CRP fields of South Dakota or comes in close for the heavy cover sloughs of Iowa. 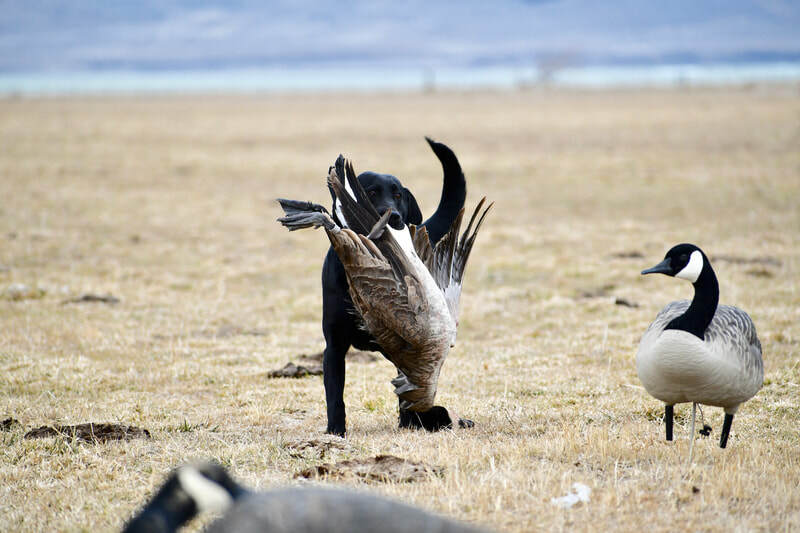 Griz has a loaded pedigree including 6-Grand Master Pointing Retrievers, 7-Master Hunters, 8-Amature Field Champions, 5-Field Champions, 1-Qualified All Age, 1- 2xNational Amateur Field Champion, and 4- APLA Hall of Fame dogs! Some of the biggest names in the Pointing lab world and the Field Trial world have come together to create a truly exceptional animal!